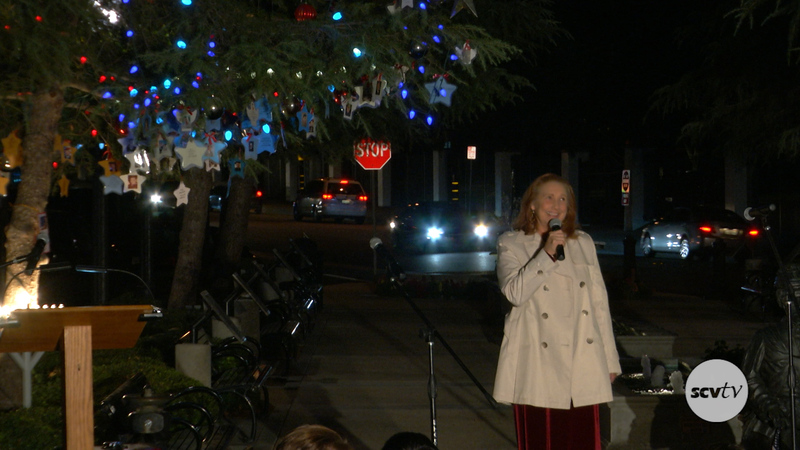 Prayer Angels for the Military hosted Santa Clarita’s 12th Annual Military Honor Christmas Tree Lighting at the Veteran’s Historical Plaza in Newhall. Prayer Angels for the Military was assisted several other veterans organizations including Back to the War Zone, Newhall American Legion Post 507 and the COC Veterans Resource Center. Fritz Coleman, beloved NBC Weatherman and Navy Veteran attended at the Guest Speaker and featured performances from Savannah Burrows, the Valencia High School Choir and local actress and producer Marilyn Hackett.